Quick, easy sauteed green beans recipe- A 20 minute side dish made with simple ingredients in one pot on stovetop. Fresh beans are pan fried with butter, oil, garlic. 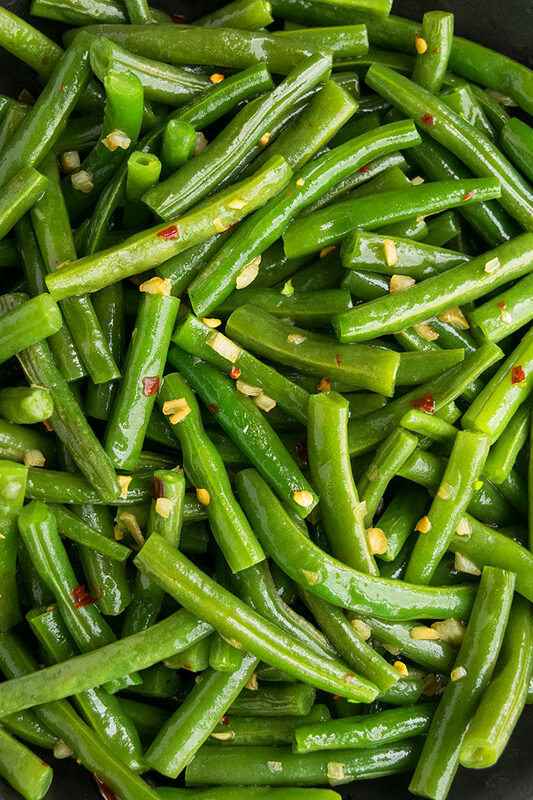 Green beans can be made in so many ways, making it a super versatile vegetable. 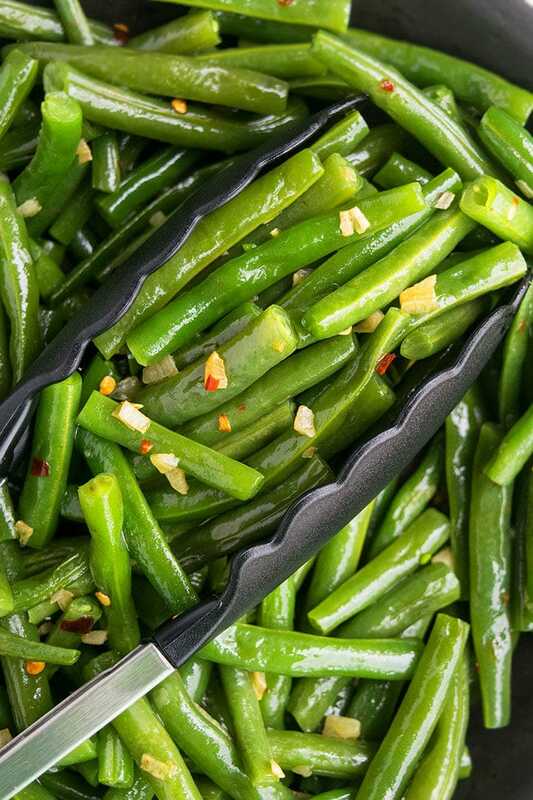 Try them as Oven Roasted Green Beans (One Pan) or as pan fried Green Beans with Bacon (One Pot). Can I saute green beans without blanching? Yes, blanching is not a required step. Typically, it’s done to retain the green color of the beans but I find it to be an unnecessary step. Can you pan fry green beans? Yes, the recipe below involves fresh green beans being pan fried with butter, olive oil, salt, pepper and lots of fresh garlic. Roast them in the oven with herbs and spices. Or pan fry them with garlic, bacon, onions, and herbs and spices of your choice. 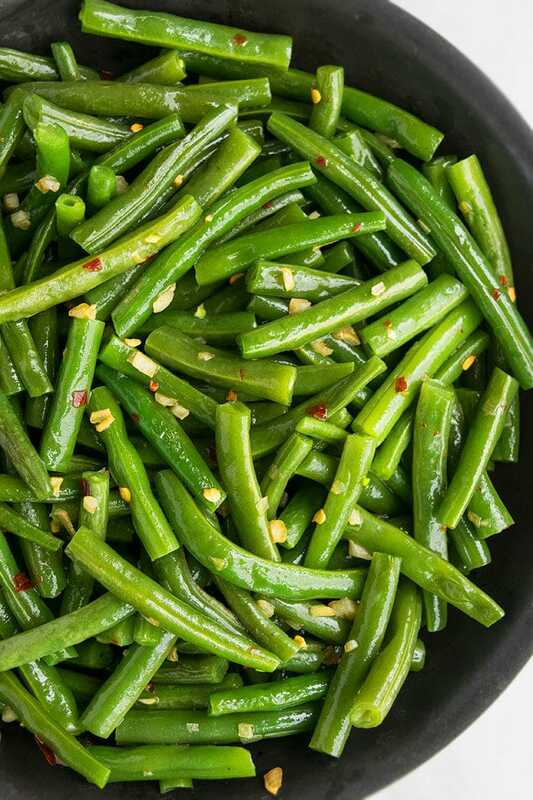 How to make sauteed green beans recipe with garlic? Mix in garlic and season with salt and pepper. Garnish with fresh herbs or roasted nuts and you are done. How to prepare green beans for cooking? 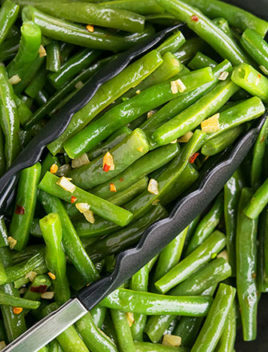 What to serve with easy sauteed green beans? Can you use canned green beans or frozen green beans? Fresh beans yield the best tender crisp texture but frozen green beans can be used as well. 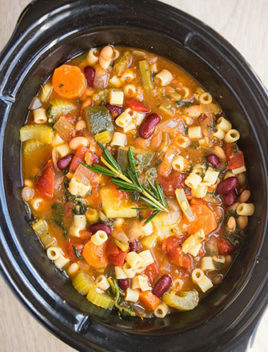 Cook on high heat so that the excess water evaporates quickly, as the beans thaw and cook. I don’t recommend using canned beans because they become too soft and limp and lack the perfect texture. Saute 1/2 cup finely chopped onion, along with the beans. Add 1-2 tablespoons of soy sauce and toss some roasted sesame seeds at the end, to give it an Asian flavor. Mix in 1 cup sliced mushrooms and saute them, along with the beans. 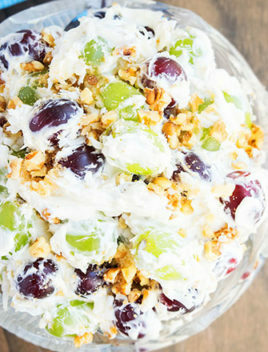 To add a little crunch, toss 1-2 tbsp of sliced roasted almonds or pine nuts. Add thinly sliced carrots and saute them, along with the beans. Add 1/2 cup frozen peas when you add the garlic and and saute everything together for about 5 minutes. Mix in 1 tbsp fresh lemon juice and 1/4 tsp zest to give it a subtle tangly flavor. Mix in 1-2 tbsp Sriracha sauce to add a spicy kick. If you are fond of cheese, sprinkle some freshly grated parmesan or feta cheese, at the end, prior to serving. Mix in 1 tbsp Greek seasoning or ranch seasoning or Italian seasoning for a different flavor profile. Use unsalted butter to prevent beans from getting too salty. Keep in mind that thin green beans will cook faster than thick green beans and you may have to adjust your cooking time, accordingly. Use a combination of butter and olive oil because they add a deeper flavor, when used together. 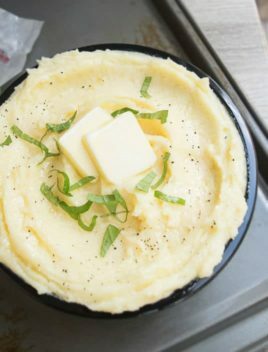 There is no need for blanching in this recipe. 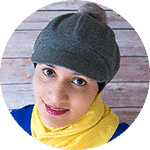 Beans are ready when they are crisp and on the outside and tender on the inside. Use fresh garlic because it’s fresh and yields the best flavor. However 1 tsp garlic powder can be used instead as well. Don’t cover and cook the green beans because that will end up steaming the beans and making them too soft. Make sure to pat the washed beans dry or else they will end up being very soft and limp. Add garlic near the end to prevent it from burning. Heat oil and butter in a large nonstick pan over medium high heat. Add green beans and cook for about 8 minutes, mixing often, until they become tender. Some beans will become golden brown. Add garlic, salt, pepper, red chili flakes and cook for an additional 2-3 minutes until garlic is golden brown and fragrant. Remove from heat and garnish with fresh cilantro, parsley, toasted almonds e.t.c (Optional). Enjoy! 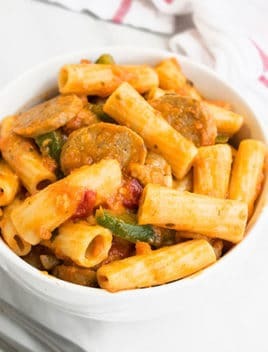 Tastes best and crisp when served fresh but leftovers can be stored in a sealed container in the fridge for up to 2 days.